“Mum had been living in her own flat in a supported living complex. Then she had a series of falls and each fall affected her dementia, which became increasingly worse. Finally, she went into hospital after a fall and we were told that her needs were such that they wouldn’t accept her back into her old flat. We were like rabbits caught in the headlights. Although we were aware that things were changing for Mum, we suddenly reached the crisis point. We knew the hospital wanted Mum to be discharged but we didn’t have anywhere for her to go. One friend said – you need to ring around care homes, others made different suggestions. We felt very overwhelmed. In the middle of all this chaos, we got a call from someone who introduced herself as Barbara from CHS Healthcare. She simply said – don’t worry, I can help you with this. We talked about Mum’s needs, our priorities and the funding situation (Mum would initially be a self-funder but would become social services funded and we needed to ensure she wouldn’t have to move care homes again). In fact, it was very complicated, and we changed our minds about our priorities three times. Barbara took all of this in her stride, didn’t mind and followed our requests. Barbara got in contact with us on the Friday. She worked all over the weekend, so we were ready to view two care homes on the following Monday. The first home we saw was perfect. What I really liked about it was their knowledge of dementia care: everyone was trained – they even had a dementia gardener, so that if a resident came out and wanted to help in the garden, he would support them to do what they can. I could see Mum would have the freedom to move around but within a safe environment where her needs were well understood. The whole atmosphere was about supporting people to do whatever they can manage. Barbara was very knowledgeable, with an ability to communicate quickly and effectively. If I fired off an email with a question, even if it was during the evening or weekend, she would reply. She really knew the care homes: what they are really like, not just what it says on the brochure. She offered to come with us to visit care homes and that was really helpful, supporting us and giving a professional view to reassure us about the decision we were making. We were so pleased with the first care home we saw, they had a room and Mum moved in the following day. Mum was beginning to get very unsettled on the ward, so it was a huge relief to get her into a better environment as quickly as possible. Without Barbara’s help, there is no chance that we could have found the right care home for Mum in just three days. Undoubtedly, Mum would have further deteriorated if she had spent more time in hospital. 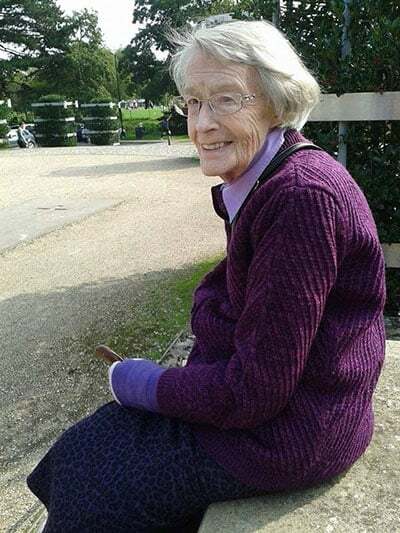 She has been in the care home for nearly two months now and has settled in really well, enjoying the social contact and eating a lot better than she was before.